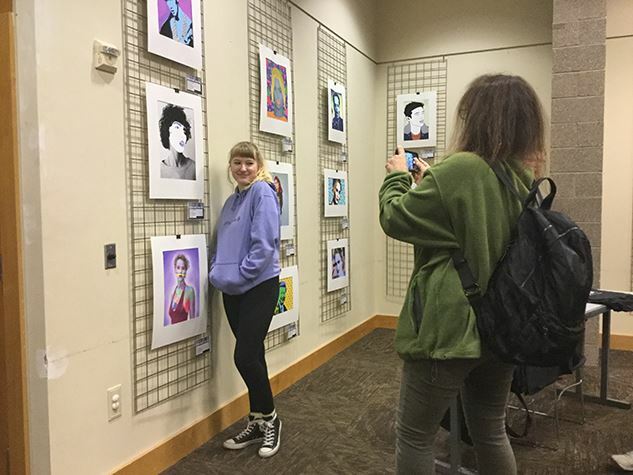 The Beaverton City Library and the student-comprised Teen Library Council invite the community to the 16th Annual Teen Art Show at the main library (12375 SW 5th St) Wednesday, Nov. 7 through Saturday, Nov. 10, during library hours. The opening reception will be held Wednesday, Nov. 7 from 4 to 5 p.m. and features light refreshments and the first opportunity to view all of the art, cast your vote in the People’s Choice Awards, and mingle with the artists. Area teens in grades 6-12 are encouraged to submit up to two artworks for consideration in the exhibition. Teachers can submit student artwork on Thursday, Nov. 1; students and parents can submit artwork on Friday, Nov. 2 and Saturday, Nov. 3. Artwork can be brought to the Teen Room at the main library. There will be two $100 gift certificates for Blick Art Materials for the two winners of the People’s Choice Awards (middle school and high school divisions). The winners will be chosen by show attendees. A $100 gift certificate to Blick will also go to the middle school and high school art departments with the most artists submitting works. The four awards are sponsored by the New Friends of the Beaverton City Library and Blick. To pick up entry guidelines, visit the Teen Room at Beaverton City Library Main or the Teen Zone at the Murray Scholls branch. The Teen Art Show is free and open to the public. For more information, visit www.BeavertonLibrary.org/Teens or call 503-350-4001.